A presentation given at the University of Zagreb last December is part of our commitment to involve more young people in rewilding. 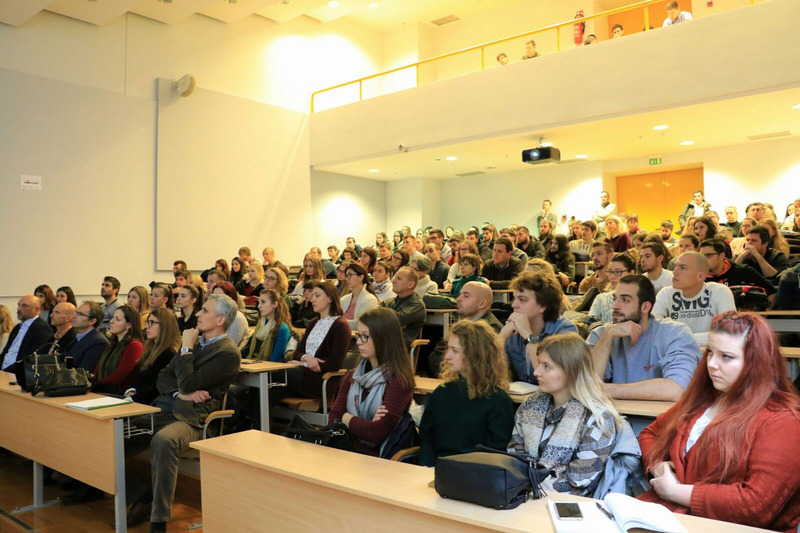 The lecture on rewilding given by Dr. Paul Jepson at the University of Zagreb last December typifies Rewilding Europe’s efforts to reach out to European students. As a future-oriented, long-term initiative, Rewilding Europe is conscious of the need to raise awareness of rewilding with younger generations. More and more young people are now learning about and becoming inspired by rewilding, and carrying out rewilding-related projects. At Rewilding Europe we strongly encourage debate over the extent to which our continent can be wild, and how we can best achieve that level of wildness. While we are heavily focused on doing as well as thinking, and on realising rewilding efforts at a local level, we also support research and monitoring on rewilding, with education playing a vital role. We already have good connections with universities in numerous European cities, including Oxford, Cambridge, Leipzig, Madrid, Amsterdam and Warsaw. After each presentation that we make to students, there is huge interest amongst young people who want to further their education in rewilding. 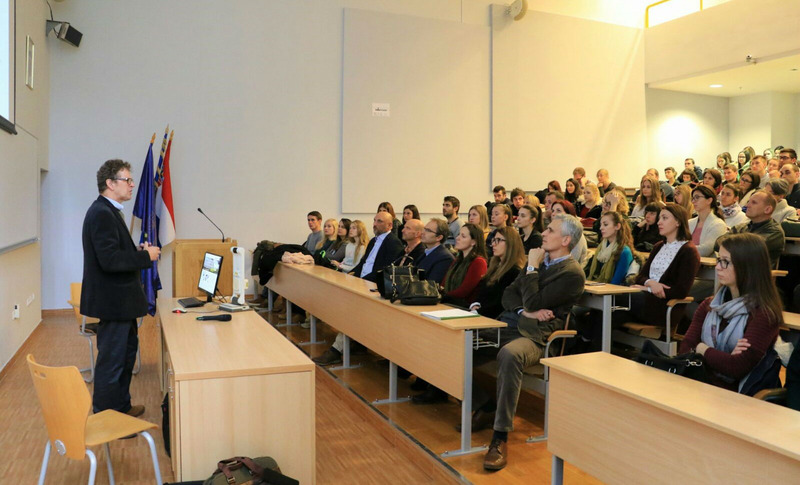 Dr. Jepson’s lecture was well received by students, and continues the productive cooperation between Rewilding Velebit and the University of Zagreb’s Faculty of Forestry. One such presentation was made by Dr. Paul Jepson, a course director at Oxford University, who gave a lecture to students at the University of Zagreb last December. 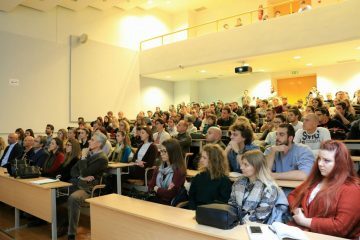 Organised by the university’s Faculty of Forestry, in conjunction with Rewilding Velebit, the lecture was entitled “Rewilding: New Horizons In Conservation Science, Policy And Actions – Why right now?”. It was the first time that students at the university had received a lecture on the subject of rewilding. Following Dr. Jepson’s presentation, a lively discussion on the topic of rewilding featured both students and other experts attending the event. Scientists from the University of Zagreb’s Faculty of Forestry have participated in several Rewilding Europe-funded research initiatives, such as projects on mapping brown bear dens and research into the Ramino Korito old-growth forest, a part of the Velebit Mountain rewilding area. Rewilding Velebit is working to conserve and enhance biodiversity in core rewilding areas in the Velebit Mountains, while simultaneously developing nature-based tourism and supporting rewilding-related enterprise. As we look to build a new generation of conservationists, Rewilding Europe will continue to explore new opportunities for taking the subject of rewilding to European students across the continent.